If your selling your vehicle, what a great low priced way to advertise your vehicle for sale. We have pre-made FOR SALE stickers ready to take away, so you dont have to wait. Each sticker is white in colour so it stands out on your window, and is easy to read. The phone number is in the DIGITAL FONT, so you can make up any standard mobile or phone number. 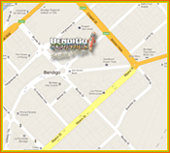 We provide full installation instructions on how to put it on your vehicle window. These are normally $17.50 so a definite saving of $6.50. Mention you saw this special advertised on our website to receive your For Sale Sticker at this Special Price. 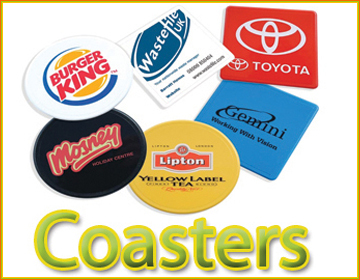 A low cost promotional item, where you can attach an advertisement to any set of keys! Our Acrylic Key Tags are a nicely shaped rectangle, fully clear, with the advertisment of your business or service inserted inside. We print these full colour on both sides, to give your business or club advertising right in the hands of your clients. Great for any vehicle related industry, vehicle servicing, new and used car dealerships, or simply something you can give away to your clients. These can also be used for sporting clubs for annual subscription renewals, where we can print the year and individual numbers on each key tag. 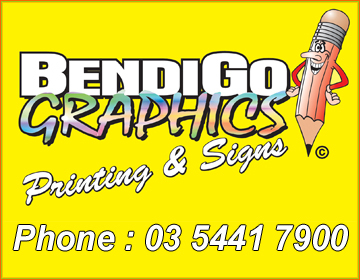 Bendigo Graphics are happy to discuss ways in laying out your design. If your a "Tradie", and just starting out, costs in signwriting your vehicle can be a big expense. But not now, we can give you a simple yet affective design on your vehicle, which will get you noticed. Price includes supply of vinyl, fitting to 2 doors only and rear tailgate or tray only, of your vehicle, including a logo if you already have one, or color image if you have one prepared. This is a great yet affordable way to get your vehicle looking like a professional tradie! Note: Any additional panels on the vehicle are at extra cost. Price does not include "Vehicle Wraps" . Special Coming Soon. Special information is to be typed here. Special information is to be typed here. Special information is to be typed here. Special information is to be typed here. Special information is to be typed here. Special information is to be typed here.